With a 17.1 percent estimated market share in the second quarter, Xiaomi is now the leader of the wearable market, ahead of Fitbit and Apple, reveals a recent report by Strategy Analytics. Xiaomi is apparently doing great these days in a market that had some issues a few years ago. Wearables sell better than in the past, and the Chinese brand is now the leader of this market for the first time, according to a fresh report by market research firm Strategy Analytics. In the second quarter of this year, Xiaomi managed to ship 3.7 million wearables, accounting for 17.1 percent of the market. During the same period of 2016, the company only shipped 3 million units - a market share of 15 percent. 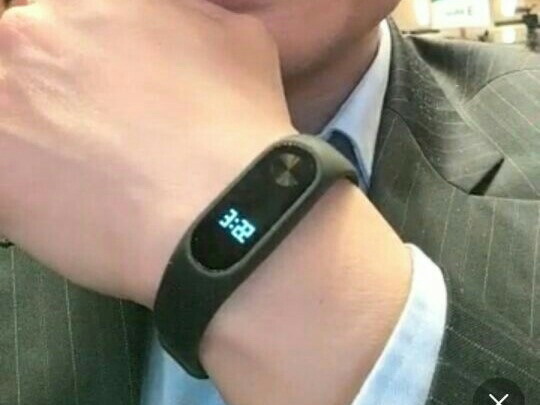 Strategy Analytics' executive director Neil Mawston reveals that "Xiaomi's Mi Band fitness trackers are wildly popular in China, due to their highly competitive pricing and rich features such as heart-rate monitors, step-counters, and calendar alerts." Fitbit dropped from 28.5 percent to just 15.7 percent since 2016, while Apple managed to grow from 9 percent to 13 percent in the same time frame. Thanks to the increased demand in cheap fitness bands in China and premium smartwatches in the US, the wearable market grew in the second quarter to 21.6 million, 8 percent more than the 20 million units shipped in Q1 2017.